Tampa Bay is one of the largest saltwater estuaries in the world and it is home to some of the most exciting Tampa Inshore Fishing Charters on the planet. With Redfish, Trout, Snook, Tarpon, Sheepshead, Cobia, several species of sharks and many other types of fish call Tampa Bay their home. Take a look at our popular species list at the bottom of the page for more species and information. Our primary targets during your Tampa Inshore Fishing Charters are Redfish, Snook and Sea trout and they can be caught in a variety of ways. They can be targeted with live bait, artificial lures, by fly fishing. Depending on the time of year, we could fish out of one of several locations such as Upper Tampa Bay, St. Petersburg, or Downtown Tampa. These areas are described in detail in our Tampa Fishing Charters Areas Served information links at the bottom of the page. Whether you’re a novice angler, and advance fly angler, or just want to get out on the water and catch some fish. Capt. Jim can get you hooked up. Inshore Fishing Charter clients utilizing Tampa Fishing Charters Light Tackle Charters can expect the use of top notch gear, all licensing taken care of, the expertise of Capt. 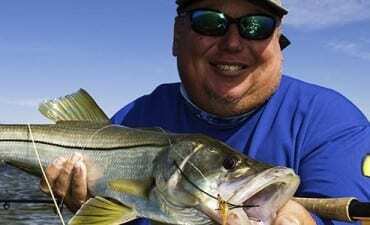 Jim Lemke, and a memorable day of flats fishing in SW Florida. This fishery is absolutely amazing and offers some of the best fishing available in the state, arguably the planet. Tampa waters are a major component in the Florida’s title as “The Fishing Capital of the World.” Once you spend the day here on the water, you will see that this holds true in every aspect. 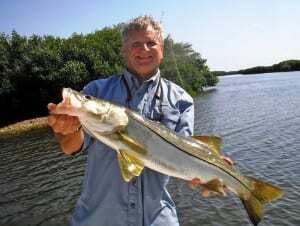 Tampa Fishing Charters are adrenaline filled, nature filled, and relaxing all at the same time. Sight casting to a tailing Redfish, watching a Gator Trout smash a topwater lure, or easing into Snook territory in the backcountry – These trips are second to none. Couple that with amazing scenery, clear waters and exceptional Florida weather, you will see why clients come back again and again on board with Light Tackle Adventures – Your best Tampa Fishing Charters service serving the Tampa area and surrounding waters.